I wish that my kids could take a quick time-traveling trip to the future. Ideally I’d send them to the point where they have kids of their own, and appreciate the value of a good night’s sleep. Maybe then they’d actually come back to the present with a mutual understanding that sleep is good, and going to bed should be a privilege and not punishment for parents. Until my kids actually like going to sleep I’ll use apps like Good Night to help simplify the bedtime process. 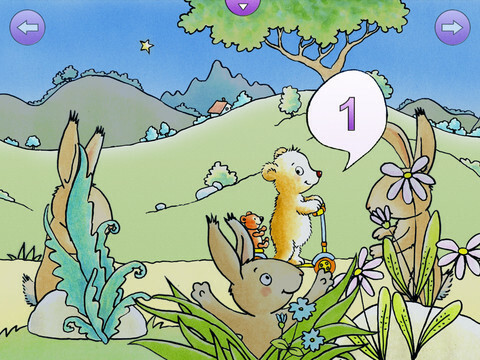 While many bedtime apps address pre- and early-reading skills, this app is different as it focuses on simple counting of 1 to 10. 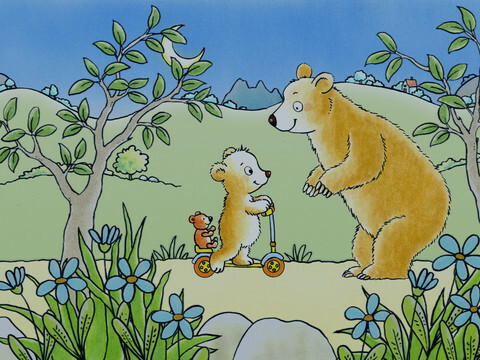 Players follow Paul, a little bear, who won’t be ready for bed until he says good night to a few more friends. As he wheels along on his little scooter, Paul encounters groups of creatures that are hiding. When each little animal is found and tapped, a number is announced, from the first little mouse to the tenth hooting owl. The game is fully customizable by turning the quiet background noises on or off, or choosing to play without the soothing British-accented narration. We usually try reading storybook apps at bedtime to take the place of a traditional book, so my kiddos (who are 3 and 5) were pleasantly surprised when I opened this app instead. They had a blast taking turns finding the animals, and especially liked when we talked about the different noises each animal makes. As much as we enjoy working on our pre-reading, Good Night was a little less stimulating seeing as how we didn’t have to get frustrated sounding out words. 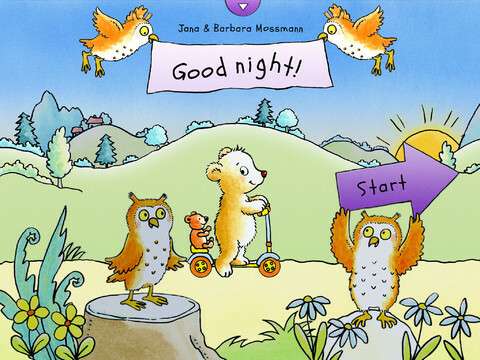 This app is a wonderful alternative when you need a quieter bedtime ritual. Sometimes little ones need a nice break from more brain-taxing reading apps at bedtime, and Good Night delivers. It seems a little pricey at $2.99 but it offers kiddos a nice middle ground between number-rich math apps and wordy storybook apps.